First of all, you'll notice there's a "Share This" button at the bottom of every page now. That's so you can post your favorites from "The World Wasn't Meant" on things like Facebook, Digg, Twitter, whatever! And it is helpful that you do this. Because more big news this weekend is that we got a referral on StumbleUpon and got more hits on Saturday than we do for an entire week! Also big news is that today, April 13th, is the one month anniversary of the launch of "The World Wasn't Meant"! 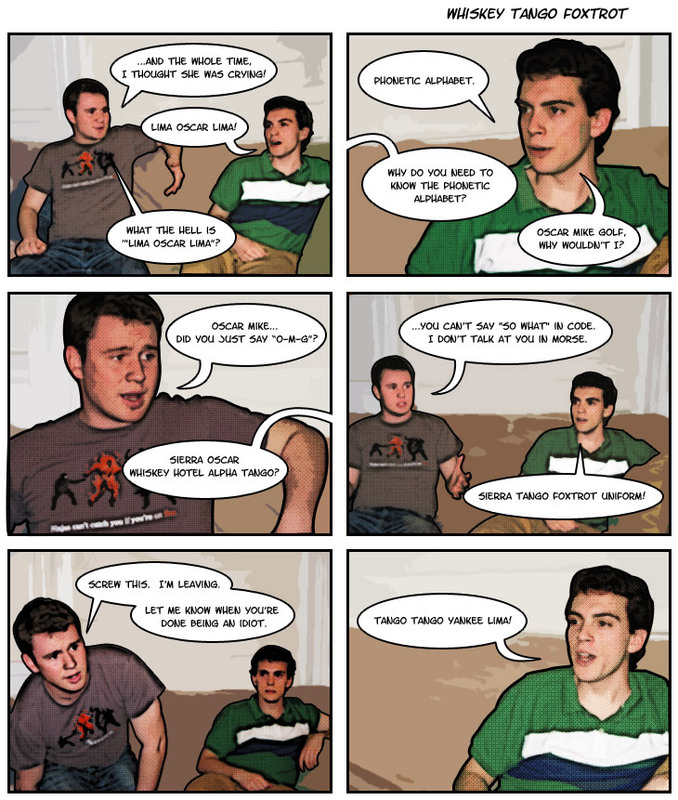 What better way to celebrate than to give you our seventeenth comic? So read on, readers, and remember that the world is many things, but it was never meant.